Vice President Joe Biden inadvertently tossed raw meat to Republican rivals Tuesday barely 24 hours ahead of the first presidential debate, saying the middle class has been "buried" during the last four years. With President Barack Obama and Republican nominee Mitt Romney laying low ahead of Wednesday's Denver showdown, their running mates battled for the spotlight, and Republicans suggested Biden's gaffe marked a stunning admission five weeks away from the November 6 election. 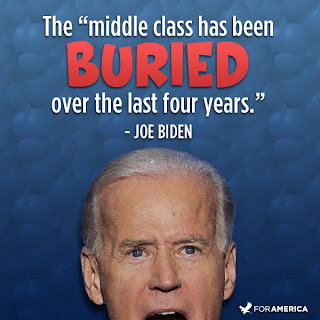 "How they can justify raising taxes on the middle class that's been buried in the last four years," Biden, addressing supporters in North Carolina, said in reference to the period he and Obama have been leading the nation. The White House quickly sought to douse the flames, saying Biden was talking about how president George W. Bush's policies continued to hurt the middle class deep into Obama's term. 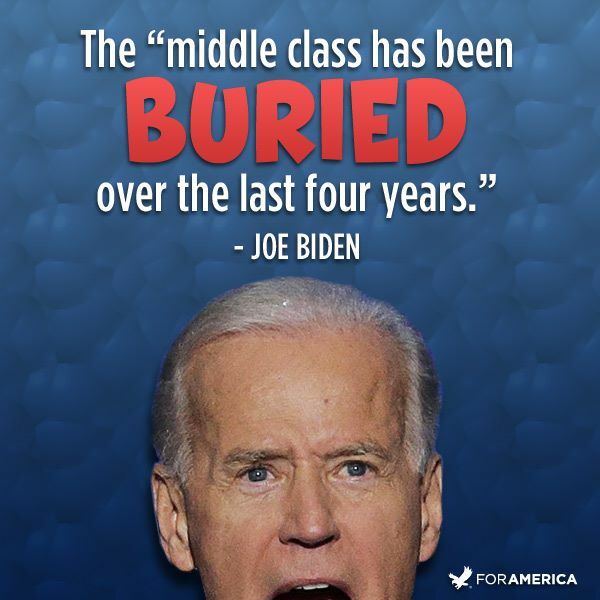 And Biden himself offered up his own correction in a tweet from his official Twitter feed: "'The middle class was buried by the policies that Romney and Ryan have supported."